Are you looking for a way to enhance your home? A high-quality gate or fencing in Mentone can add great value to any home. 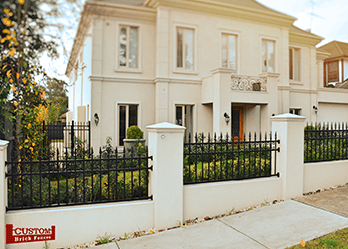 Custom Brick Fences, a Melbourne-based company, are leading manufacturers in premium gates and fencing for Mentone. 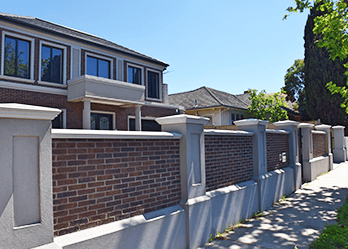 As Mentone’s most trusted specialists for home gates and fences, you can count on Custom Brick Fences to create the right product for your home. As suggested in our title, we offer our customers custom-made fences and gates. Supplying Mentone’s residents with our services for over 15 years, we’ve built a name for ourselves in catering to our customers’ needs. We can design any gate or fence to suit your preferred style or requirement, whatever size, colour or material you want used – Custom Brick Fences can help you. We also offer complete fence or gate installation services to all customers. Dedicated to thorough and precise work, our experts assist you every step of the process including conducting necessary measurements at your home, so your custom fence or gate fits well in the existing space. To give you an estimate of the price and style you want, we can take measurements in the space and get back to you with a free obligation-free quote. Don’t know what type of fence or gate would be best suited to your home and location? No problem! Our professionals have the knowledge and patience to provide you with essential advice before you decide on the right fence or gate for you. 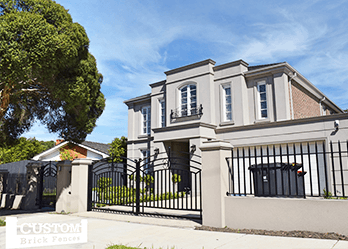 When it comes to Melbourne’s best gates and fencing in Mentone, Mentone residents turn to Custom Brick Fences.